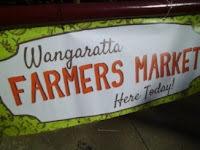 This website also lists the fruit fly control products that are available locally in Wangaratta. 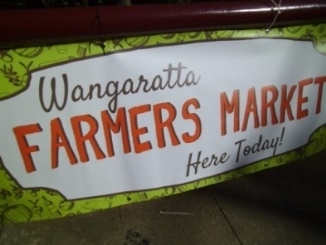 The Natflav 500 product (distributed by Albury Wodonga Fruit Fly Assoc) is available from both specialty plant nurseries in Wangaratta and is the most cost effective method in tackling male and female fruit fly. It is also important to monitor for male fruit fly. There is also a product called a Cera Trap that costs around $25 and can be left for 3 months. 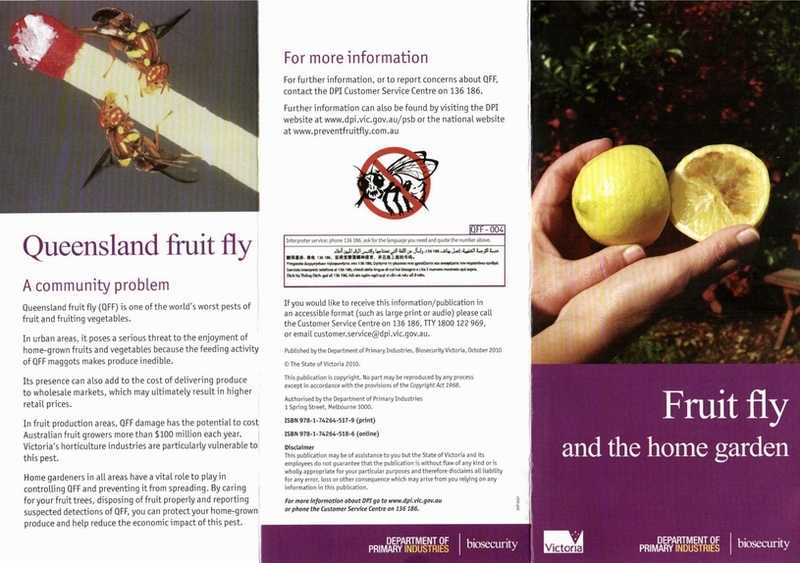 Need more information about Fruit Fly Control Products? Click here! Queensland Fruit Fly can be lured and trapped by several means. Commercial organic products which lure the male fruit flies are useful to determine when they are present, then a spot spray which attracts and kills can be used. 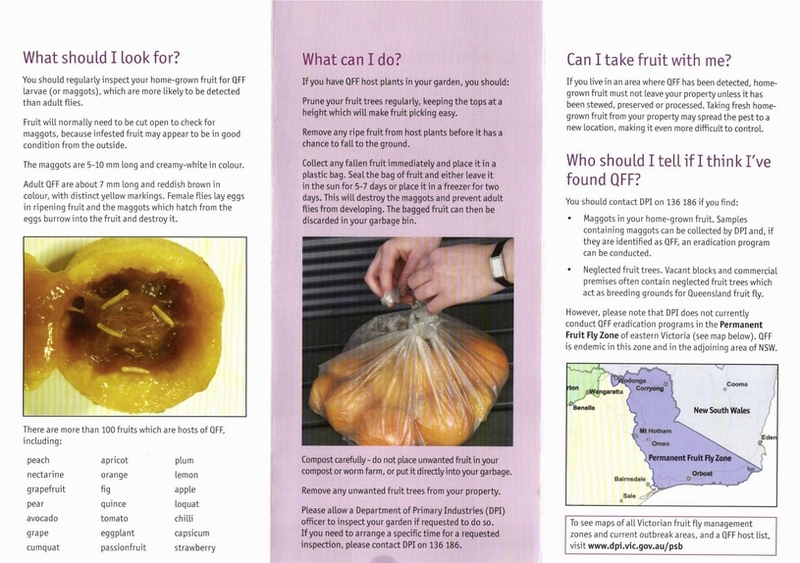 Homemade fruit fly traps can also be effective, unfortunately they may also capture beneficial insects, so it is important not to make the holes too big. The recipes below are suitable for 2 litre screw top bottles, such as washed milk bottles, with 2 holes a bit smaller than a 5c piece cut near the top. The bait is then added, the top screwed on and the bottle and hung in the tree. They will need rinsing and renewing regularly. 1 Cup water, 2 teaspoons vanilla, half cup cloudy ammonia. (Hang high away from children or pets). Half cup juice, half cup water, 1 teaspoon sugar, half teaspoon yeast. Half cup beer, half cup water, 1 teaspoon vegemite, 1 teaspoon sugar. This is quite an effective bait and better than the one with Ammonia (safer) if there are children around. Half cup boiling water, two teaspoons sugar, quarter cup apple cider vinegar, 2 drops washing up liquid, mix and put into plastic bottle with 3 or 4 holes in. It is suggested to make up several lots and put 3 bottles per tree. In hot weather they dry out, so replace as necessary. Exclusion nets are also available and are good for covering tomatoes and capsicums.